Home / Products / PS-3D Rotator PS-3D Variable Speed, Fixed-Angle 3D Rotator - Raya Scientific Co. 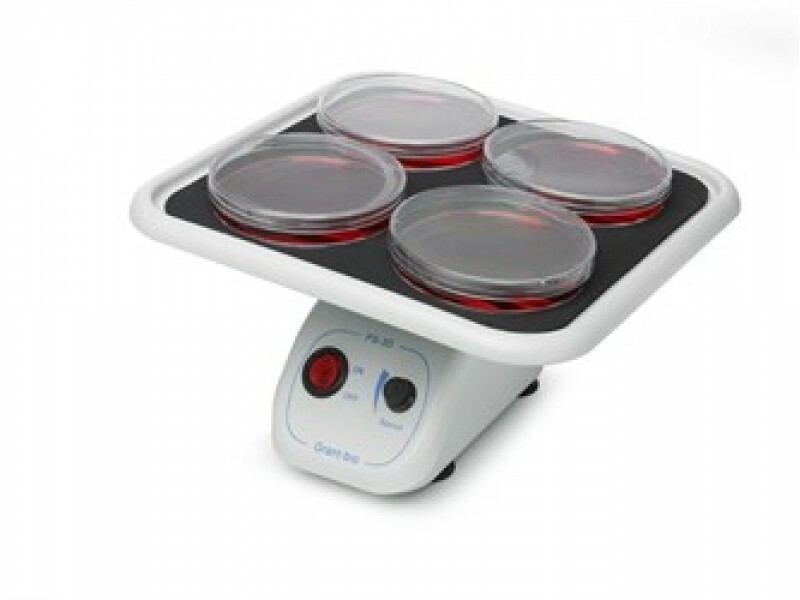 Ideally sized for personal use, the Grant-bio PS-3D platform rotator provides a smooth 3D orbital motion for mixing in tubes, culture flasks, dishes and boxes over the speed range 5 to 60 rpm. The gentle movement is ideal for staining and destaining of gels without destroying the gel edges, or for keeping fragile tissue intact during incubations. The 3D motion provides very effective sample coverage, for efficient mixing with a reduced quantity of solution. The PS-3D is small but highly functional, with a low profile and small footprint, fitting neatly into the smallest workspace. The reliable motor produces regulated and reproducible rotating throughout the speed range and, combined with the sturdy construction, will guarantee years of consistent operation. It is also extremely quiet. 200 x 200 mm platform accommodates most commonly used vessels. The gentle movement is ideal for staining gels without destroying the gel edges, or for keeping fragile tissue intact during incubations. Low voltage power supply provides for safe cold room operation and low energy consumption. Suitable for gentle mixing applications in many different fields, with specific applications including: gel staining and destaining, antibody staining, washes, hybridisations, immuno precipitations, Southern blots, Western blots, in situs. The 3D motion provides very effective sample coverage, for efficient mixing with a reduced quantity of solution.